Long-standing Fred. Olsen Cruise Lines’ Sales Manager, Angela Flynn, is celebrating 20 years with the company this week. Angela Flynn, Fred. Olsen’s Sales Manager – National Accounts, joined the cruise line on 9th November 1998, as an Account Manager for the South East of England & Scotland, when the company had just one ship, Black Prince. Angela was promoted to Regional Sales Manager for the South of England in 2004. She took on her current role in 2016. Over her varied 20-year career, Angela has been involved in the launch of all four of Fred. Olsen’s ocean ships – Balmoral, Braemar, Boudicca and Black Watch – as well as its newest addition, river cruise ship, Brabant. “I love my job and the variety it brings, as well as the people I get to work with, from shoreside colleagues to those on our ships and, of course, our trade partners and guests. “The past 20 years haven’t passed without their share of challenges, including the rapid growth of the cruise market, which has brought with it huge increases in tonnage and competition. “But it is this growth in the market that has seen Fred. Olsen grow from its single ship, when I joined in 1998, to the four-strong ocean fleet that we have today. I have had the privilege to be involved in the launch of all of them. A highlight of Angela’s career with Fred. Olsen has been receiving the CLIA UK & Ireland Award for ‘Outstanding Contribution to the UK & Ireland Cruise Community’ at the end of 2014. Angela was recognised by CLIA UK & Ireland for ‘her significant contribution to the success of UK cruising and for committing herself to working tirelessly with the travel trade, encouraging greater engagement to the benefit of the industry, and being a true ambassador for cruising’. 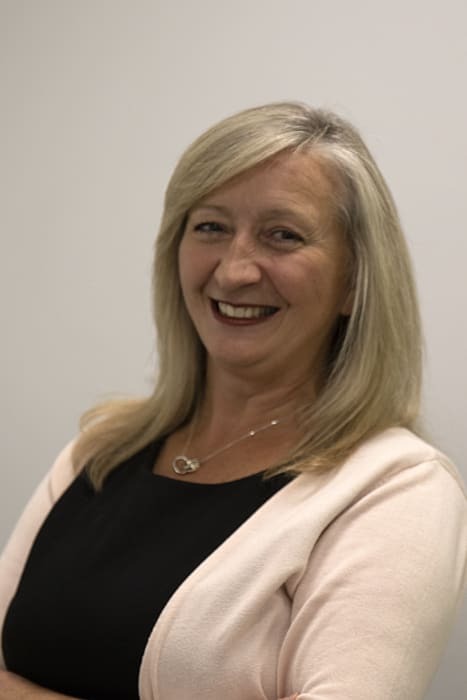 “Twenty years in any business is a great milestone, but for Angela, it has been 20 years of dedication to her role with the travel trade that makes her stand out against the rest. “Angela has been a great ambassador for Fred. Olsen and is highly respected and much-liked by all those travel trade partners she comes into contact with. Angela manages a number of Fred. Olsen’s largest accounts, including Hays Travel, Thomas Cook and TUI, as well as The Travel Network Group, the Advantage Network Group and Global Travel Group.